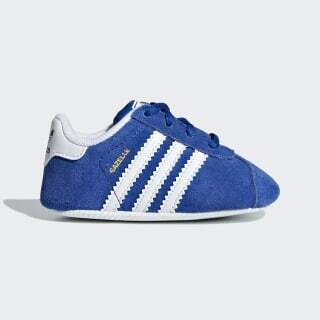 Infants' Gazelle shoes with an anti-slip outsole. The Gazelle was built for swift moves and sure-footed grip. 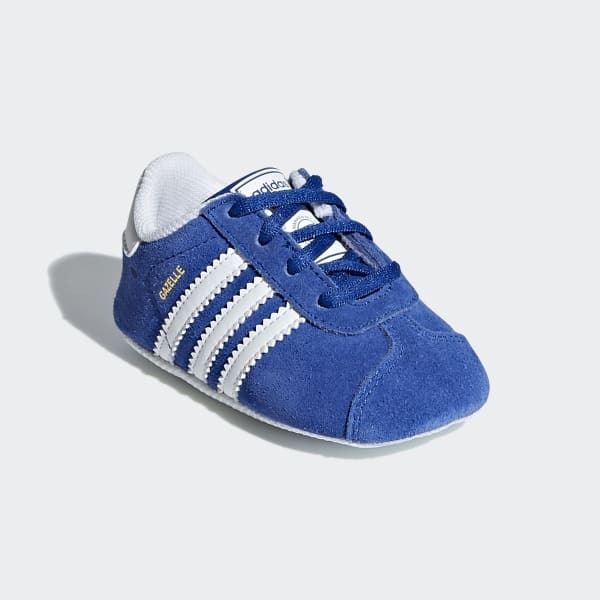 These infants' shoes offer the clean lines and graceful shape of the 1991 version of the classic trainer. Made of soft suede, they have an anti-slip outsole and come with elastic laces for speedy on and off. Product color: Collegiate Navy / Ftwr White / Gold Met.